The law is confusing, in part based upon the language we use. We use five dollar words and latin, well, because it makes us seem important. Sometimes you have to use Latin because that is really the only term available. However, when we can use plain English, we should. I will never use “heretobefore” or “whereas”. If I do, then I guess I owe $5.00. So, without further ado, legal language according to Keith. Click on the area of law below or just scroll through all of this wonderful legal language. Legal Custody: The concept of who makes major decisions for a child. This is presumed to be joint, unless there is a history of domestic violence. Generally not a huge deal because most major decisions like religion are agreed to between parents. The Court can allocate specific decisions such as medical to one parent. Physical Placement. Where the child spends his/her time. There is NO PRESUMPTION of joint physical placement, even though I have heard judges and attorneys say that. The test is how can we maximize the time a child is with each parent. Now maximizing time with a parent is a phrase that is tough, if not impossible to accurately define. Legal Separation: This is a rarely used legal judgment that looks, acts, sounds and tastes like a divorce. All property and support obligations are fully resolved. The difference is that you remain married in the eyes of the church and cannot re-marry. It can be used for religious and health insurance reasons from time to time. YOU ARE NOT LEGALLY SEPARATED BECAUSE A DIVORCE HAS BEEN FILED. Primary Physical Placement: The notion that one parent has “most of the time” with the children. This phrase, used everyday does not appear anywhere in the statute books. Mediation: A process to try to help you make decisions, with the other parent, about legal custody and physical placement. When it works well, it is the cheapest and best solution for any parent. 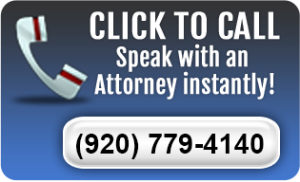 It can be used both before and after a divorce or paternity judgment. THE MEDIATOR WILL NOT MAKE A DECISION ABOUT WHO IS RIGHT OR WRONG, OR WHO THE BETTER PARENT IS. Custody Study: A study, usually conducted by the County Department of Human Services, although it can be done by private contractors. This is a lengthy report that analyzes both parents and will tell the Court what the writer thinks about each parent and what arrangement is best for the child. You will occasionally hear this referrred to as a home study. We rarely care about the home itself, though. A better phrase coined by a client is “family study”. That more accurately catches the purpose of the study–figure out the family dynamics, strengths and weaknesses. Guardian ad litem:This means guardian in a legal matter. Not a general guardian, like a parent, who makes decisions about a child. A Guardian ad Litem (GAL), is a lawyer appointed by the Court to advocate for the best interest of the minor child. Not what the child wants, not what dad or mom wants, but what is best. It is an odd concept, but basically when the two people that are supposed to make decisions in the best interest of a child, simply because they cannot agree on what that is, then someone else, presumably objective, has to step in and determine what that is. The Court will normally follow their recommendation. This person must have various education and experience. He or she must also not testify or become a witness in the case. Tough concept, to have someone else say what is best for your child. Better, of course, to figure that out together, but sometimes you cannot. The Guardian ad Litem usually tries to get it right. Pro Se: Might as well use Latin again. This means representing yourself, which is an oxy moron. How can I represent myself? I am myself. Child Support: The process of paying one parent to care for a child. Not always fair and certainly not always right. However, usually easy. We have various formulas based upon the numbers of children, prior children and percentage of placement. This is usually removed from your pay check by means of what we call a wage assignment. It is post tax, so you get to pay tax on it if you are a payor and you do not pay tax on it if you receive it. Maintenance: This used to be known as alimony. Presumably the name was changed to make it simpler and get away from an old anachronistic name. However, we still say maintenance, which used to be known as alimony which has not made it a bit simpler. It is the notion that the economic arrangement called marriage has financial implications after marriage. One spouse can end up paying money to the other spouse, for years, based upon various factors. Any lawyer that tells you he knows what the Court is going to order for maintenance is either lying or has never tried a maintenance case. It is the toughest part of divorce law. Paternity: The legal framework of defining who is daddy. Maternity is usually known the old fashion way. You can be legally a father by being married to mom when the child was born or conceived, by genetic testing after the child is born, or by signing a declaration of paternity at the hospital, or shortly after the child is born. Be careful, though, because the mother has sole legal custody in any paternity case until a court orders otherwise. A husband and a wife, however, both have legal custody of a marital child until a Court orders otherwise. A father in a paternity case, therefore, has less rights than in a divorce, at least initially. After it gets to the Court most laws are applied the same in paternity and divorce. However, those first few months can effect what happens later. Arraignment: The formal entry of a plea. Usually takes about 2.2 minutes. Information: The formal charging document. Criminal Complaint: The written statement by the district attorney complaining you have committed a crime. Count: Each and every charge in the criminal complaint. Bond: Your promise, sometimes supported by Cash or property, to not be naughty while the case is pending and to return to court. GPS: The new process to follow your every move, but at least it is out of jail. Ignition Interlock: The device that must be hooked up to your car that requires random blowing of air to show you are sober enough to drive. Actually you must be absolutely sober to run the car. Huber Law: The ability to have a release from jail for work or child care. Public Defender: Yes, a real lawyer. They are employees of the state of Wisconsin ( or hired by the State as private attorneys ) and do their best, on a limited budget to minimize your sentence. Private attorney’s are paid $40.00 or so an hour to do this work. I do not do this work because I am not a legal clinic. Will: The document that says this is where my property should go, and who should take care of it and my children. Not everyone needs a Will. Everyone with minor children SHOULD have a Will. If you are reading this and your kids are grown, well then you got lucky. Good job. Personal Representative: The person who wraps up your affairs, sells the house, pays the bills, etc.. Used to be known as the executor, which means we always say personal representative, which used to be known as executor. Trustee: The person or entity that manages the funds for the beneficiary of a trust. Power of Attorney: A document granting someone specific abilities to do things in your stead. There are two major types: Durable Attorney for Finances and Durable Attorney for Health Care.